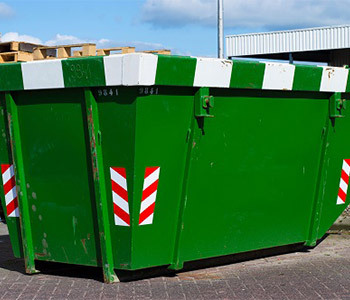 Are you looking for skip bin hire services in Sydney or the surrounding areas? You are in luck, we have been the skip bin hire providers to the individual contractors and construction companies for over many years. Our quick and reliable services are designed to keep your project running on-time and on-budget. Our skip bins are available in various sizes to suit our customers` needs – 2 cubic meters, 3 cubic meters, 4 cubic meters and 6 cubic meters. They can be used for the collection of unwanted paper, cardboard, cans, plastics or general waste. Whether you are a homeowner or a commercial business, rest assured that your convenience is at the forefront of our minds. Any waste collected in our hired skips will be dealt responsibly in the most environment and eco-friendly manner. So, whether you are clearing a house, an office or a building site, we have a skip suitable for your requirements. As soon as your bins are full of waste, we can empty them quickly and in a cost-effective manner. 2 Cubic Mtrs : This bin size is perfect for a small garden cleanup at home. 3 Cubic Mtrs : This bin size is ideal for a medium sized garden cleanup. 6 Cubic Mtrs : This bin size is ideal for medium sized renovations. We are committed to our customers and provide bins at reasonable prices. Our professionals ensure you are 100% satisfied with the services. So, if you are looking for skin bin hire services in Sydney or the surrounding areas, please give us a call today.